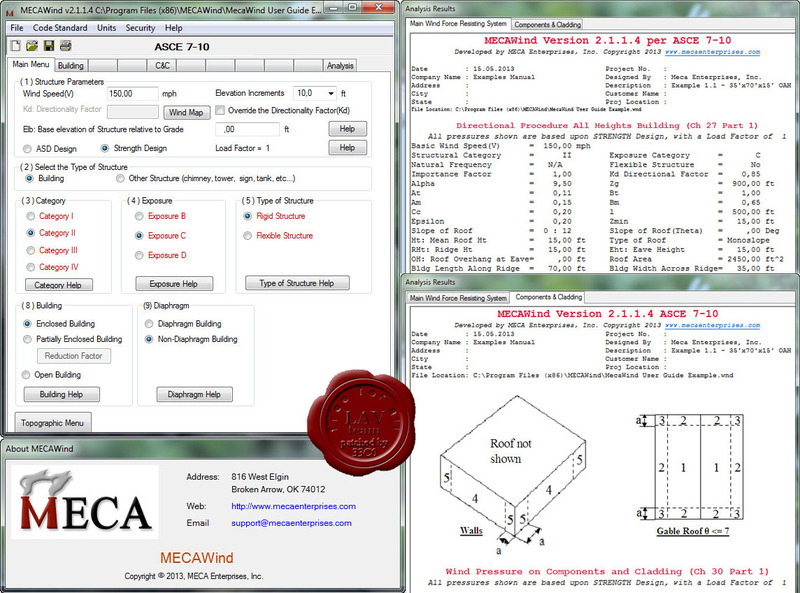 Engineers who are looking for an affordable software package to perform professional looking wind calculations are turning to MecaWind - the best valued product available for wind load calculations. 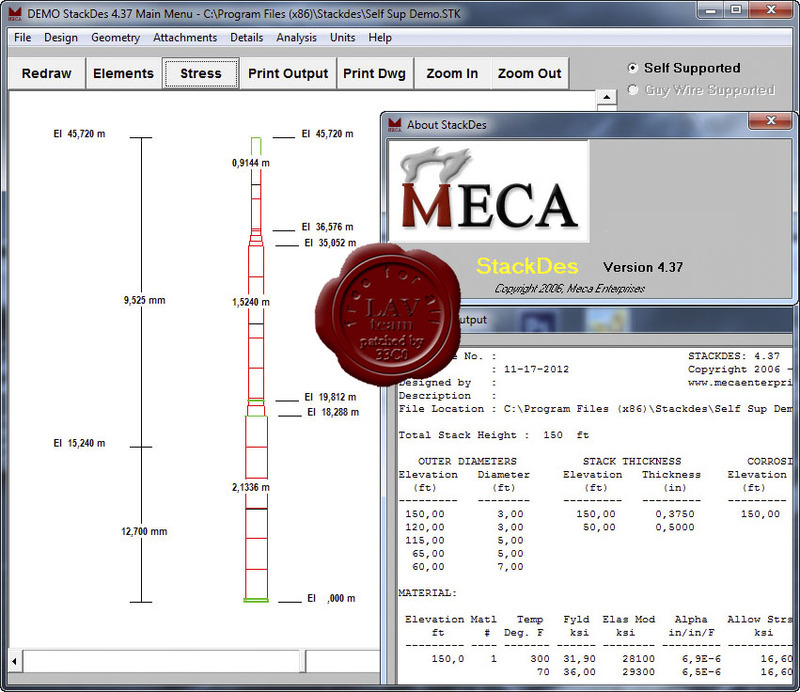 MecaStack is a stand-alone executable program that performs the overall structural analysis of Self Supported or Guy Wire Supported Steel Stacks. It uses a stiffness matrix to completely model the stack and its loadings, and then applies the appropriate acceptance criteria based upon the user selected design code. The program also calculates the natural frequency of the structure so that the dynamic along wind and dynamic across wind (vortex) loads can be applied to the stack. StackDes is a standalone executable program that performs the overall structural analysis of Self Supported Steel Stacks. It uses a stiffness matrix to completely model the stack and it's loadings, and then applies the appropriate acceptance criteria based upon the user selected design code. The program also calculates the natural frequency of the structure so that the dynamic along wind and dynamic across wind (vortex) loads can be applied to the stack. The software includes many industry recognized codes and standards. 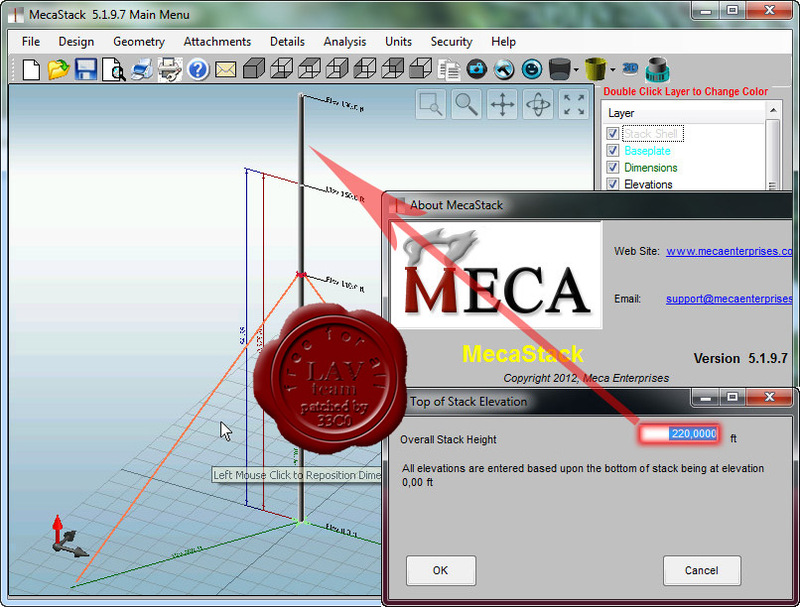 StackDes includes an integrated version of Cone, Baseplate, and Strucflg. That means the user can automatically design these components directly within StackDes.